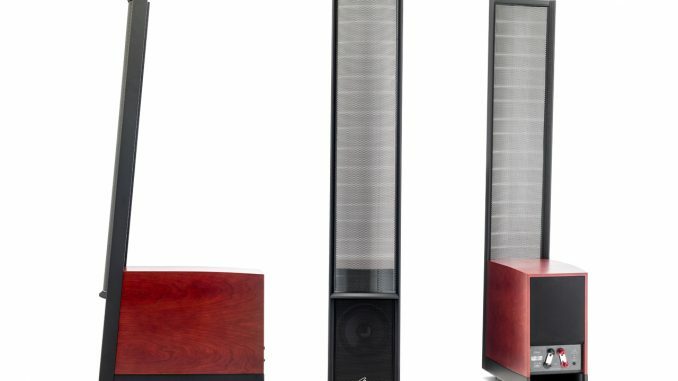 Martin Logan Classic ESL 9: The best of both worlds? Electrostatic speakers tend to polarise opinion. They have a reputation for seamless, three-dimensional imaging and an airy, wide-open soundstage that is as accessible as it is musically appealing. 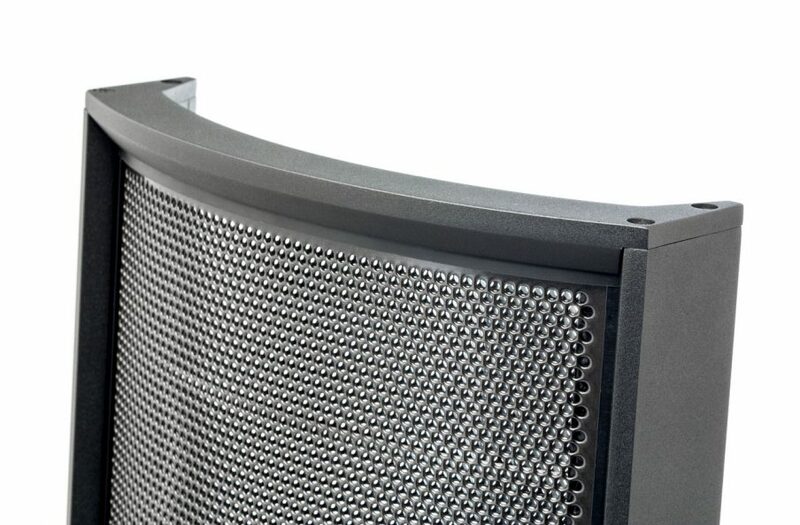 However, many electrostatic speakers are considered limited in tonal scope – and more specifically, lacking in bottom-end capability. They can also be notoriously challenging to drive. Their much-maligned lack of bass has led some to accuse electrostatics of being limited in musical scope: great with female vocals and acoustic ensembles, for instance, but ultimately disappointing when it comes to large-scale orchestral works, or good old rock ’n roll. As always, one should beware of sweeping statements. So much depends on factors such as room acoustics, speaker placement and amplification choice, that such shortcomings can only be judged in real-world installations. But yes, the lack of good old bottom-end wallop is a well documented shortcoming of many pure electrostatics. One obvious way to address the shortfall in bass is to add a subwoofer, with the only caveat being the need to ensure the seamless transition between sub and the electrostatic transducer – a feat that’s by no means as simple to achieve as it sounds. 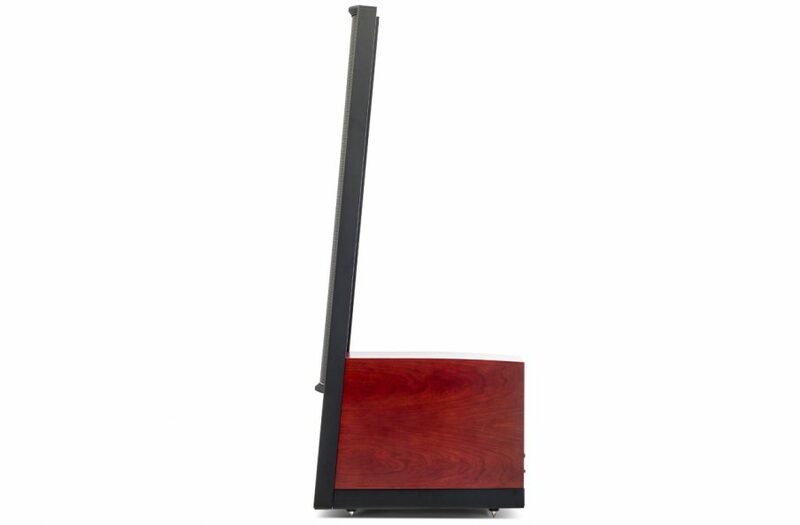 The path Martin Logan has typically chosen for its electrostatics is a more accurately termed a hybrid one. Thus, the electrostatic transducer’s tonal focus starts in the lower midrange region, while conventional bass drivers look after the bass and sub-bass. The Classic ESL 9 is the most compact member of Martin Logan’s Masterpiece Series, which is headed up by the majestic and imposing Neolith. 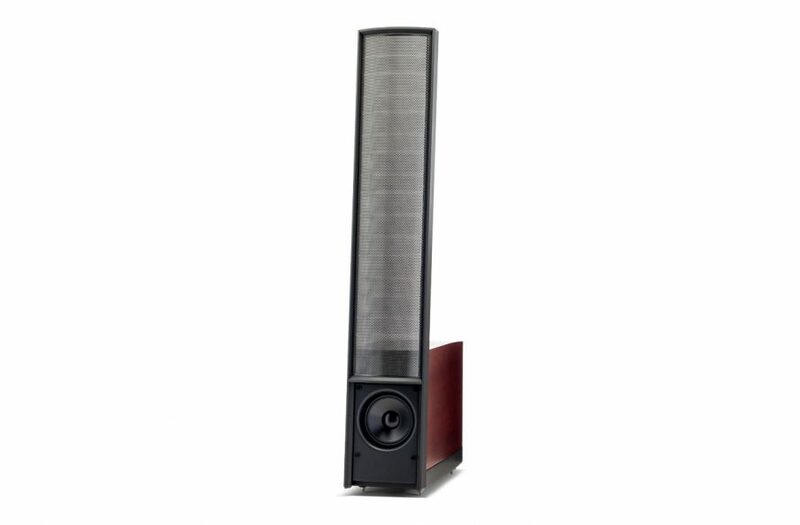 But compact by no means suggests small – it’s still very much a Martin Logan electrostatic in shape and execution. It retains the statuesque shape that has made Martin Logan electrostatics among the hi-fi world’s most recognisable loudspeakers. 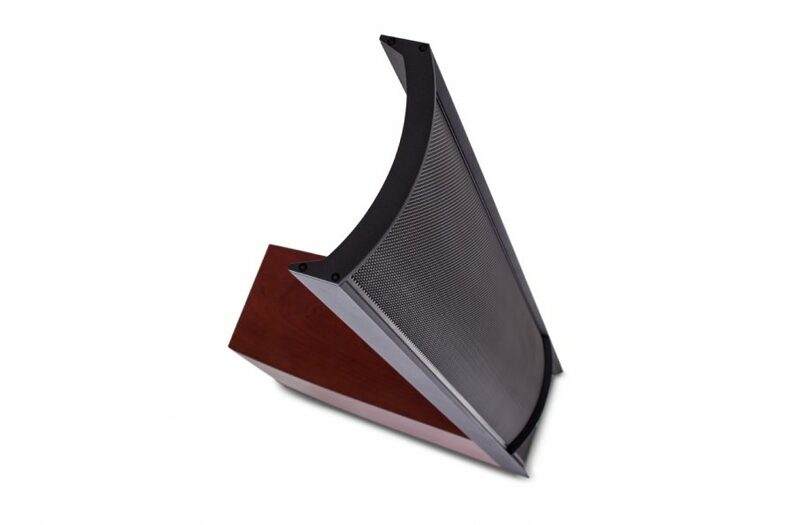 A tall and slim, curved and semi-transparent transducer visually dominates, integrally supported by a woofer enclosure at the base of the panel. The fact that the transducers are semi-transparent, and that the bass enclosure extends rearwards, makes the Classic ELS 9 less imposing than one would expect of a speaker standing 1,5 m tall. And yes, it’s elegant and distinctive in a contemporary, minimalist kind of way. The electrostatic transducer uses a precision-perforated steel panel coated with a special polymer, and hosts a vacuum-bonded membrane just 0,013 mm thick. It’s mounted to the bass enclosure via a rigid frame that prevents vibration while ensuring perfect alignment with the bass enclosure. That enclosure is described as an asymmetrical chamber design, and features a rear-firing slot port. It’s home to a pair of high-excursion 200 mm aluminium cone woofers – one at the front and the other at the rear of the enclosure in a push-pull configuration. The rear panel offers impressively engineered twin binding post pairs to allow for bi-wiring, and there’s a dedicated port for the compact, wall wart-type power supply. The Classic ESL 9s are offered in variety of real-wood veneers, as well as gloss piano lacquer black. A meticulously executed crossover network employing custom-wound transformers, air-core coils and polyester capacitors provides a crossover point of 380 Hz. System frequency response is a claimed 34 Hz – 23 kHz (±3 dB). 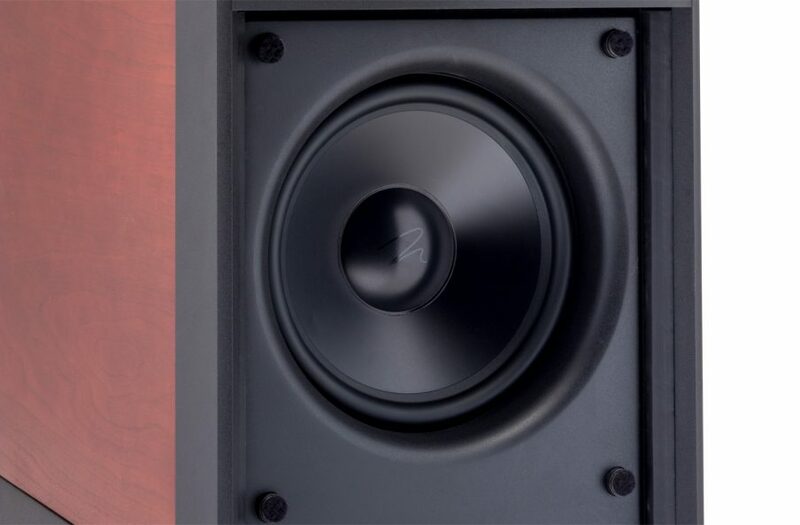 Although the ESL 9 has an easy-to-drive sensitivity of 90 dB, it can be a challenging speaker because of its low impedance: nominal impedance is 4 ohms, but that can drop to as low as 0,8 ohms, so these are best powered by some decent amplification with ample headroom if they’re to deliver their best. At just under 40 kg, the Martin Logans aren’t impossible to manage once they’ve been unpacked. They were easily incorporated in our 6 x 4 metre listening room, positioned in a free-standing configuration away from side and rear walls. After some experimentation, they ended up about one-third into the room and slightly toed in towards the listening position. This seemed to offer the best compromise between soundstage dimensionality and transparency. Our regular Parasound Halo A21 power amp was well up to the task of driving the ESL 9s, while the rest of the system comprised a Primare PRE32/MM30 pre-amp, and a Lumin D1/L1 network player. If you’ve ever heard a pair of electrostatics, you’ll know that they have a beguiling sound that easily seduces, and soon becomes addictive. That’s also true of the Classic ESL 9s. There is something about the way the sound picture is utterly divorced from the devices producing it that is almost magical: the music commands a space and presence of its own, creating an almost palpable sense of dimensionality. That presence allows an instant and enthralling rapport between music and listener in a way that is much harder for conventional, dynamic driver-based speaker designs to achieve. You always seem to be focusing on the music, rather than the way it is being delivered, because that delivery is so effortless, so un-electronic. You hear actual guitars, violins and vocals – not an audio system reproducing them. In the case of the Classic ESL 9s, that sense of authenticity isn’t limited by any tonal compromises: in addition to ethereal trebles and rich, tactile midrange hues, the MLs bring real bottom-end impetus to the musical party. It’s a refined, tidily integrated and tautly delivered bass that adds vital substance and foundation to the music. I still wouldn’t describe the ESL 9 as a raucous rock ’n roller, and its emphasis is more on balanced, polished and insightful sonics than on get-down-and-boogie excitement. But it’s certainly not scared to tackle some vintage Led Zeppelin, or high-impact Daft Punk. Andrew Bird’s often mesmerising vocals on My Finest Work Yet dominate an unexpectedly accessible and multi-faceted set, with strong melodies and a clean production adding further appeal. On ‘Bellevue Bridge Club’ the backing band is unexpectedly rumbustious, with the drum kit particularly punchy and prominent, yet allowing enough scope and space for a soulful piano, exuberant strings, delicate guitar riffs and a faithful bass on the busy, intimately rendered soundstage. It’s to the credit of the ESL 9s that they allowed an unwavering and inviting view of the performance. They were utterly transparent, with their physical presence seemingly irrelevant with regards to the actual projection and dimensionality of the sound picture. Imaging was keenly focussed, and the soundstage holographically presented, but not beyond the scope of what’s been captured by the recording: the MLs exuded a powerful sense of realism and never exaggerated for the sake of effect. As a result, there was an inherent truthfulness and authenticity to the music that made for compelling, addictive listening. The double bass rarely stars in classical concertos, and Ödön Rácz still has to share the stage with János Balázs’ effervescent violin in the charming dual concerto by Giovanni Bottesini that opens My Double Bass. But if anything, the violin’s presence also serves to highlight the considerable charms of the corpulent bass instrument. Again, the ESL 9s allowed unencumbered access to the performance, recreating a clearly delineated soundstage on which the exact physical position of the solo instruments and their accompanying ensemble was vividly portrayed. The instruments themselves were presented with almost startling realism: the lyrical sheen of the violin was beautifully juxtaposed against the muscular, sonorous – and no less agile – double bass. The MLs were able to make the most of the interplay between these two instruments, expressing the double bass with loads of authority, while allowing the violin to soar across the layered, finely rendered music picture. The Classic ESL 9s always had the pace and the resolution to showcase the technical mastery of the two soloists, while also doing full justice to the artistic and emotive mastery of the performance. On Vance Joy Live At Red Rocks Amphitheatre, the Australian indie folk exponent’s almost breathless excitement, the ambience of the venue and the reaction of the audience all contribute to the kind of electricity and immediacy that is typical of good live recordings. 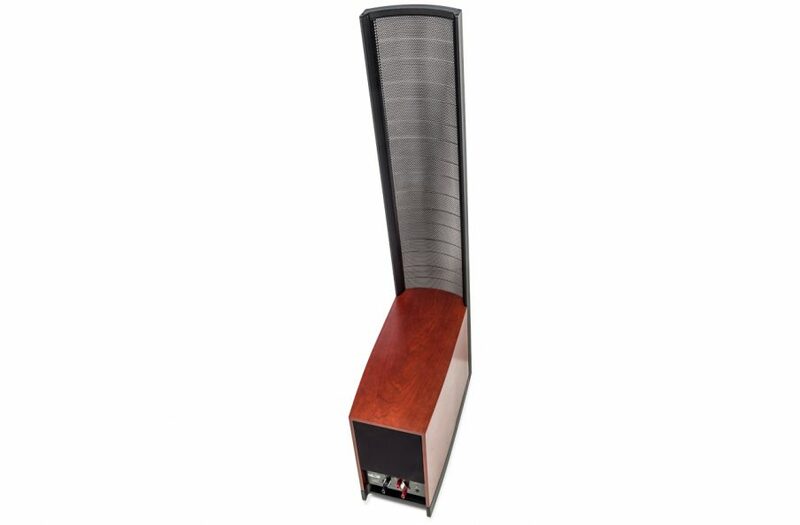 The Martin Logans revelled in the challenge, propelling the listener right into the heart of the musical action. Listening to ‘Like Gold’, the performance had the edge and glisten of the real thing. From the attack of the acoustic guitar and the depth and impact of the bass to the slam of the bass drum and the articulate, artful percussion, the electrostatics, the panels sounded viscerally real. The result was a pervasive sense of realism that transcended the usual hi-fi listening experience. The music sounded so present and so true that it became easy to imagine actually being part of the audience. The sometimes esoteric, yet always intriguing fusion of jazz and rock that is Snarky Puppy presents a system with some very real challenges. On ‘Xavi’, off the band’s latest release, Immigrance, driving bass lines and mesmerising drumwork underpin majestic shafts of brass, aggressive electric guitars and a guttural electric violin in a complex melange of tone, melody and rhythm. 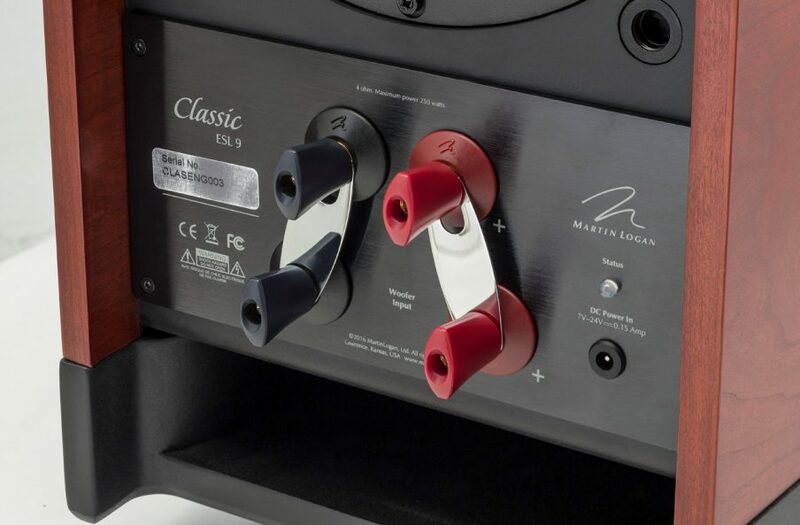 As I said at the beginning of this review, there is something special, even magical about electrostatics in general – and that’s also true of these Martin Logans. Specifically, the Classic ESL 9s have a way of making the most of the music on offer, delivering their audio wares with a wide-open realism that makes for riveting listening. They do so without ever losing sight of the essence of the performance, so that the results are both sonically and musically satisfying. To their credit, the tonal range is broad and seamlessly presented, with no disconnect between the electrostatic transducer’s luscious midrange and clear treble and the punchy, incisive bass of the dual woofers. Add that holographic imaging, assisted by the almost complete transparency of the Martin Logans, and the result is spellbinding in every sense of the word.